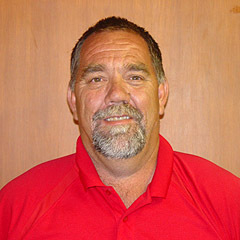 Rick Sumpter is the PGA Head Golf Professional at the Moila Country Club. Born and raised here in St. Joseph, Missouri, Rick graduated from Missouri Western State University with a BSBA in Accounting where he played varsity golf and also attended the National Championships as a freshman. His father, Buddy Ray Sumpter was a long-time Shriner and member of Moila Country Club until his passing in 2016. 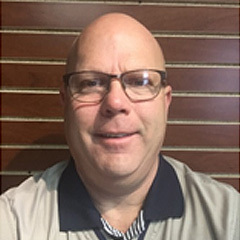 Rick returns to his childhood course after several stints in the area as an assistant and more recently as the General Manager and Head Professional at Bellevue Country Club in Atchison, Kansas for 15 years. Originally from Colby, Kansas, J.F. received a Bachelors Degree in Agriculture Business from Fort Hays State University. After working as an assistant golf course superintendent at Lake Barton Golf Course in Great Bend, Kansas for five years he went on to study at Kansas State University. There he received a Bachelors Degree in Horticulture with emphasis in turf grass management. While at Kansas State University, J.F. worked on the grounds crew at Manhattan Country Club in Manhattan, Kansas. Following graduation in 1992, he came to St. Joseph, Missouri and worked as the Assistant Superintendent at Moila Country Club until being promoted to Superintendent in 2011.